The Congress leader in the Lok Sabha Mallikarjun Kharge today refused to attend a meeting of the Lokpal selection committee to decide on the appointment of an ‘eminent jurist’, seriously miffed at the invitation as a ‘special invitee’. “At the outset let me state on behalf of myself, my party and the entire opposition that the ‘Special invitee invitation’ is a concerted effort to exclude the independent voice of the opposition altogether from the selection process of the most important anti-corruption watchdog. It negates the letter and spirit of The Lokpal and Lokayuktas Act 2013 in toto”, Kharge, leader of the Congress which is the single largest party in opposition in Lok Sabha, said in a letter addressed to Prime Minister Narendra Modi. Apart from the Prime Minister, Thursday’s high-powered meeting will be attended by Chief Justice Dipak Misra and Lok Sabha Speaker Sumitra Mahajan. “A perusal simplicitor of the Lok Pal Act 2013, its intent and objective reflects that ‘Leader of Opposition’ cannot be substituted as ‘Special Invittee’. It is a matter of surprise that your government is choosing to adopt this route as a mere paper formality rather than seek any meaningful and constructive participation”, said the letter. “In fact, the government has carried out amendments to various statutes (for example through The Delhi Special Police Establishment (Amendment Bill, 2014) to substitute ‘Leader of Opposition’ to the leader of single largest party in the selection committee. Let me also remind you that on December 18, 2014 a bill to amend The Lokpal Act, 2013 on similar lines was brought for substituting ‘Leader of Opposition’ to the Leader of the single largest party. I understand that even the select committee of parliament had put its seal of approval on the amending bill, yet the government has failed to introduce and pass it. The amending bill continues to languish in the cold storage for want of appropriate intent, commitment and objectivity on part of the government. My mere presence as a ‘special invitee’ without rights of participation , recording of opinion and voting would be a mere eyewash ostensibly aimed at showcasing the participation of the opposition in the selection process”, the letter goes on to add. 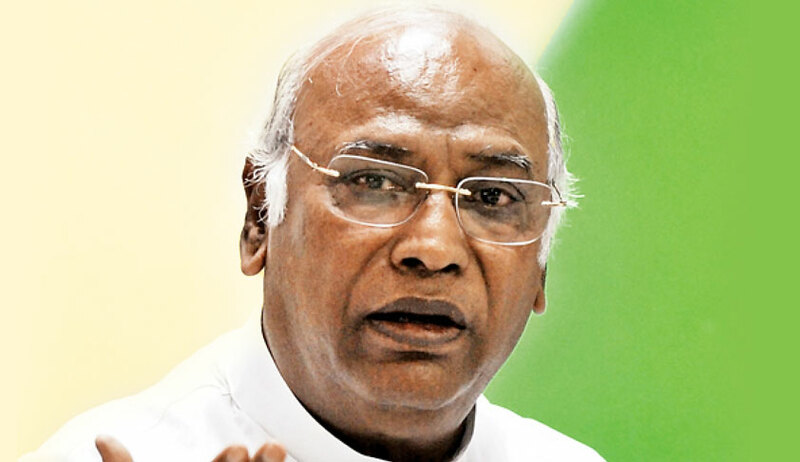 Kharge said “in these circumstances I must respectfully decline the invite as ‘special invitee’ to uphold the inviolability of Lokpal act as the current proceedings have reduced a sacred procedure to a political pretence. I must end by reminding you about our solemn duty to never permit dilution of the provisions of the Lokpal Act which was enacted with hopes and aspirations of millions of Indians as the highest body to fight graft and ensure accountability”. “Let me also take the opportunity to speak the truth fo the power on behalf of all fellow Indians, Congress-led UPA passed the Lokpal Act, 2013 and had brought it into force from January 16, 2014. Notwithstanding your repeated rhetoric to fight corruption, the BJP government has chosen not to appoint a Lokpal for nearly four years. To anyone familiar with BJP government’s record in not establishing and preserving the office of the Lokayukta in Gujarat, this would not come as a surprise”, the letter said. The Centre had on February 23 informed the Supreme Court that steps have been taken to process for the appointment of Lokpal, which has been delayed since the enactment of the Lokpal and Lokayukta Act in 2014, and a meeting of the selection panel is scheduled to be held on March 1. Appearing for the Central government, Attorney General K K Venugopal had told the bench headed by Justice Ranjan Gogoi that steps have been taken and the meeting of selection panel. The court, which was hearing the contempt petition filed by NGO Common Cause, posted the matter to March 6for further hearing. Advocate Prashant Bhushan appeared for the NGO.